The first Virtual Reality game developed in the Middle East is making its debut on Steam today. 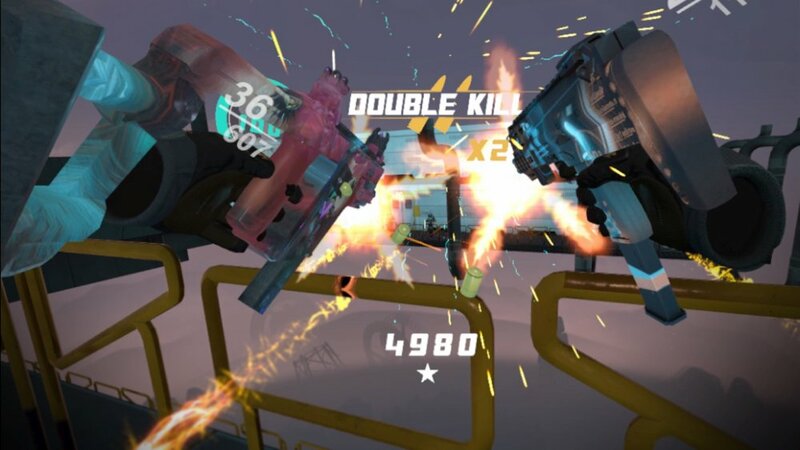 Vindicta is the name of the game and from what we’ve seen so far, it’s a really entertaining product for those who jumped on the VR wagon already. Created for the HTC Vive, Vindicta puts you in the shoes of elite Agent V, a super-agent infiltrated inside the UB Industries facility with one goal in mind: to stop them. You see, UB Industries is creating a robot army to take over the world. And as we don’t want the Terminator series to turn into a documentary, we should hop in to help. Despite the limitations that VR games have today, Vindicta still looks like a great title with many interesting features. One of the cherries on top is the use of HTC Vive’s room scale VR, making the player physically duck, crouch and crawl to avoid incoming bullets from enemies! The game also comes with an intuitive and natural arm-swinging locomotion system to control your character. The game is available on Steam right now, but it’s still in the Early Access phase. At the moment of writing, just 4 levels are available in the game, alongside the tutorial. So you’re still getting about 6 hours of gameplay if you decide to give it a try now. And you should since the game will only get better from now on. And in order to celebrate the launch, it’s available for purchase with a 33% launch discount, for a limited time. So check it out on Steam and make sure you take advantage of the discount. The game does look good and future updates will surely improve it even more! E3 2017: Do Exclusives Still Matter?